Successful Broker Tour in the Via Marina neighborhood 3561 Via Marina Ave Home for Sale in the beautiful coastal city of Oxnard, California. Great turnout with plenty of valuable feedback from the Real Estate Community. This feedback is important for my clients as we navigate through the local market. Calling all Brokers and Realtors! 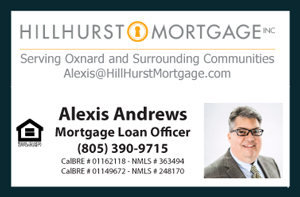 On Broker Tour tomorrow June 21st 10am-12pm in the Via Marina Neighborhood 3561 Via Marina Ave. Home for Sale in Oxnard. As usual gourmet coffee will be served with some breakfast burritos. Your feedback is greatly appreciated. Welcome to Via Marina, one of Oxnard's premiere neighborhoods. Featuring a single level move-in ready house with RV parking area, over 2, 000 square feet of living space on an oversized 6, 790 square feet lot. Custom culinary atmosphere with gourmet kitchen enhancements such as Travertine backsplash, Granite countertops and an Open Concept. Excellent spacious floor plan that offers a master bedroom, laminate wood like flooring, two family fireplaces, high ceilings and substantial natural light throughout.